The only thing worse than the bitter cold winters in Maineville, Morrow, Lebanon, Mason, or Cincinnati, Ohio is the stuffy dry air that comes with running your furnace! The dryness caused by the hot air from your furnace can make your home very uncomfortable—and it can cause cracked lips, difficulty breathing, itchy skin, and more! Fortunately, rounding out your home’s comfort is easy with a whole-house humidifier! Humidifiers return moisture into the air, making it more breathable for you and improving the environment for any wood furniture you may have. 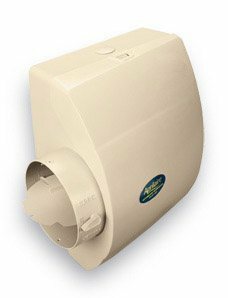 If you want to install a whole-house humidifier in your Maineville, Morrow, Lebanon, Mason, or Cincinnati, Ohio home, call Rick’s Heating & Cooling today! If you’re bothered by uncomfortable dry air in your home, call Rick’s Heating & Cooling today! We can schedule an estimate for your humidifier installation in Cincinnati, Morrow, or Lebanon, Ohio today! When you regulate the humidity levels in your home, you’ll be more comfortable and happy—so give us a call! At Rick’s Heating & Cooling, we understand how important the comfort of your home is to you and your family. That’s why we make regulating the humidity levels in your home a priority! If you’re plagued with dry skin, cracked wood furniture, and static shock every winter, schedule your estimate with Rick’s Heating & Cooling today! We always schedule our appointments within a two-hour window so you don’t have to wait around all day for the technician to show up.